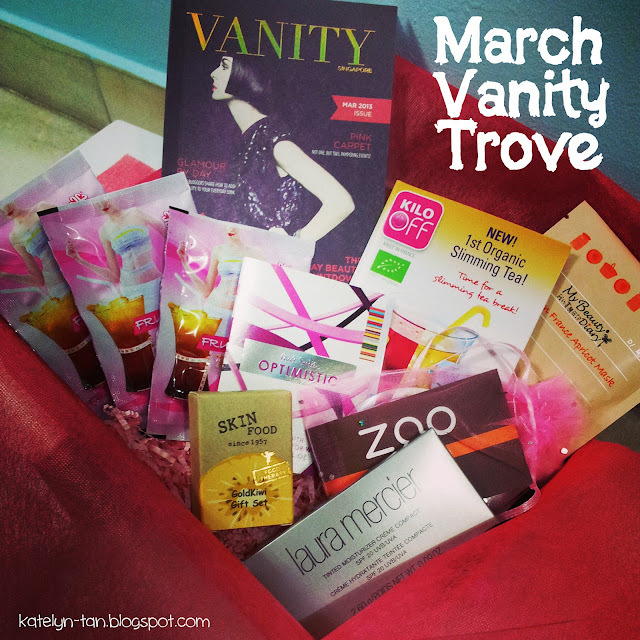 Shared this photo on my instagram as soon as I received my March Vanity Trove! Okays. Might be nothing much to all you people. But to me, it's my first feature! It reflects the British designer's playful personality and love for the unexpected. exciting yet comforting, playful yet decidedly feminine. It has a really unique scent. Not the common floral/fruity scent. I think it has a mix of both? But really subtle. It has more of a citrus scent. The first impression it gave me was sporty. Battle the bulge with a healthy diet, exercise and taste of France. This light and refreshing tea is made in France and contains natural and herbal ingredients. It comes in different varieties that you can enjoy hot or cold. can only take food that are light. Will definitely give this a try once I've fully recovered. because they come in so many pampering varieties. Each sheet mask is made from eco-friendly plant fibers imported from Japan. The soft unique three-layered structure of each sheet is perfectly plush and comfortable. But I've love the previous beauty diary masks which I've used before. So I think I will love this one too! This brightening skin care line contains quercetin, an ingredient from the gold kiwi. The hydrating formula cools the skin and drenches it with moisture so it looks firmer and clearer. Use the Gold Kiwi Toner to hydrate and brighten the skin after your cleansing routine. and works well after toner or serum. Smells okay and it's really smooth! that have been enriched with active organic ingredients. This powder compact sets, mattifies and balances the complexion for a smooth and silky finish. A little too orange-y for my skin. But it's a really smooth powder. Will definitely be better if it was my shade! Laura Mercier's best-selling tinted moisturizer now comes in a convenient portable compact. that is available in 12 flawless shades for all skin types. as well as antioxidants Vitamin C and E to guard the skin from environmental stressors. I think it's close to my skin color! Plus it's really smooth to apply. No wonder there has been so much ravings bout it! As you can see, both are really smooth to apply. Just too bad that the Zao compact powder wasn't of my shade. But I believe they must have one shade that is suitable for me! It is made from all natural ingredients like high-grade hawthorn fruit and honey. and helps cleanse and promote a healthy digestive system. just toss some in your bag to enjoy Fruity Lite warm or chilled after lunch or dinner. I guess this is another of my favorite? It tastes like peach/ice tea! Used to buy this in the past. to receive a limited edition vanity trove worth $100 from them! to receive a limited edition vanity trove worth $150 from them! Those who are planning on getting your vanity troves, hurry and get them today! Last few hours till the end of the March special!